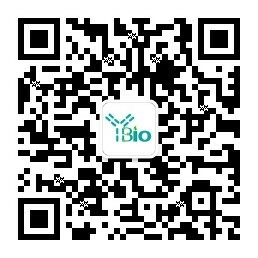 别 名 IKKi/IKKe (phospho T501); IKKi/IKKe (phospho Thr501); p-IKKE (Thr501); p-IKKE (T501); IKKi/IKKe; I kappa B kinase epsilon; IkBKE; IKBKE protein; IKK E; IKK i; IKK-i; IKK related kinase epsilon; IKKE; IKK-E; IKKepsilon; IKKI; Inducible I kappa B kinase; inducible IkappaB kinase; Inhibitor of kappa light polypeptide gene enhancer in B cells kinase epsilon; Inhibitor of nuclear factor kappa B kinase subunit epsilon; KIAA0151; MGC125294; MGC125295; MGC125297; IKKE_HUMAN; I-kappa-B kinase epsilon; IKK-epsilon; Inducible I kappa-B kinase. IKBKE is a noncanonical I-kappa-B (see MIM 164008) kinase (IKK) that is essential for regulating antiviral signaling pathways. IKBKE has also been identified as a breast cancer (MIM 114480) oncogene and is amplified and overexpressed in over 30% of breast carcinomas and breast cancer cell lines (Hutti et al., 2009 [PubMed 19481526]). [supplied by OMIM, Oct 2009]. Phosphorylates inhibitors of NF-kappa-B thus leading to the dissociation of the inhibitor/NF-kappa-B complex and ultimately the degradation of the inhibitor. May play a special role in the immune response. Protects cells against DNA damage-induced cell death. May interact with MAVS/IPS1. Interacts with AZI2. Interacts with SIKE1. Interacts with TICAM1/TRIF, IRF3 and DDX58/RIG-I, interactions are disrupted by the interaction between IKBKE and SIKE1. Interacts with TOPORS; induced by DNA damage. Interacts with CYLD. Cytoplasm. Nucleus. Nucleus, PML body. Note=Targeting to PML nuclear bodies upon DNA damage is TOPORS-dependent. Highly expressed in spleen followed by thymus, peripheral blood leukocytes, pancreas, placenta. Weakly expressed in lung, kidney, prostate, ovary and colon. Autophosphorylated and phosphorylated by IKBKB/IKKB. Sumoylation by TOPORS upon DNA damage is required for protection of cells against DNA damage-induced cell death. Desumoylated by SENP1.